I had a favorite pet store that I frequented to buy my dog food once. The pet store had a punch-card system where if you bought the same food a certain amount of times in a row, you would get a free bag of food after the tenth bag. I’m all for free stuff, so I signed up for it. The problem was with the way they kept up with it. Whenever I would purchase something at the store, they would pull out a folder overflowing with papers. They would fish around for my name for a few minutes, until they found my specific card, which they then had to sign and stuff it back in the folder. Not only was it hard for them to maintain, it wasn’t accurate – I never did get to that free eleventh bag. Back when software was hard to create, this was more acceptable. Phones barely had enough memory to hold a few phone numbers, and developing a software for something like a punch-card system was unheard of. Times are different. In our modern age, technology is there for us to use – so long as you know how to use it. Snappii is an app company that has revolutionized the way apps are made in today’s fast paced business world. By developing a platform to create apps, Snappii is able to push out apps much faster, cheaper and efficiently than most other brands out there. With features that include unlimited prototyping, all of the most popular app functions and even HTML5, Snappii might surprise you with what it can do. Contact one of our sales associates today for a quote. Just like the last app, this one also benefits as a sort of medium between you and your potential customers. Product Catalogs, however, tend to be more on the informative side rather than the persuasive one. If your a company that sells heavy machinery, for example, the product catalog can offer a clean and accessible way for your sales associates to pull up pictures and details about your products. Just by having an app at all you increase your chances of eyeballs on your brand, so it could be an extremely profitable decision for some business owners. This would have been great for that pet food store I was talking about. The Supermarket template allows you to put your catalog up for sale within the app. Aside from acting as another form of marketing through sending customers exclusive coupons, it also gives customers some additional freedoms that wouldn’t be possible without a mobile app. Customers can pay before-hand and then come pick up their goods when they’re available. Customers can also check if you have an item, and if not, when you will have it. But most importantly, it gives you a way to communicate with your customers. If a customer notices a problem within the store, the app can act as a way for them to contact the store via a forum. Placing questions in a forum allows others to comment on it, which will give you a sense on the areas that could use work throughout your store. Most of these apps will be pre-customized so that you can start using them right away. That said, we know a lot of businesses can differ even if they’re in the same sector, so we also give the user access to the app editor so they can customize things themselves. For more information on our form editor, sign up with Snappii and check out the “My Account” page. Snappii is constantly looking to improve it’s…well…everything. If you have any suggestions for improvements you’d like to see in the site, platform, or anywhere else, let us know. Small Businesses Need This to Stay Afloat! Small businesses often face the problem of thinking too small. They fall into the trap of using the most available method of solving problems – a learned behavior most likely from when the business was starting, and the going was rough. As a result, many businesses, even in our modern world, end up sticking to the same methods for years, sometimes decades, before they wise up to the fact that there’s always an easier way. I’ll give you an example – we recently made an app for a small Surf shop based in California. They had been around since the 90’s, and the pen/paper was just too easy to let up. At the same time, it caused them massive headaches. Missing pages, illegible text on other ones and an innumerable amount that seem to simply vanish altogether. Not to mention the filing cabinets that were quickly turning the quaint backroom office into a law-firm of paper. Snappii specializes with businesses just like this. By intergrating what the business already uses to create an entirely new, and far superior, form, businesses can spend less time on the formalities and more time getting to know your customer base – something that will ultimately pay dividends in the future. There’s a reason why we believe in small businesses – because Snappii’s a small business too! 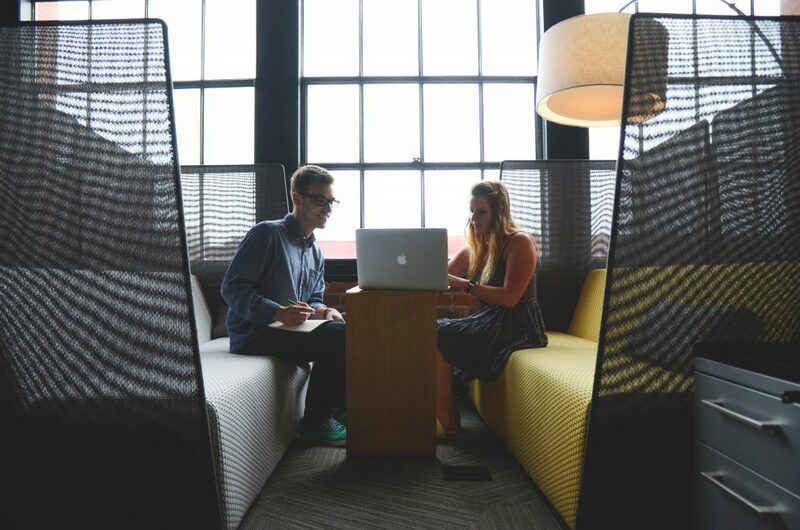 While we do have offices all over the world, we believe that smaller, more intimate settings are where real creativity happens. We’re strong believers that the size of our teams is a big proponent of our success, and we’ve helped hundreds of small businesses realize the same dream. Because we’re on the smaller side, it’s much easier to communicate changes when needed. Support can talk directly to the customer, and then turn around to flip the language into dev talk for the developers. This means that you constantly have access to changes you want to make to your app, allowing you to refine it until it’s the perfect little machine you need for your business. Changes can be made to apps with relative ease. Because of the architecture of Snappii’s apps, developers can utilize a platform (which they themselves built) to put together apps faster than any native developer can ever hope to achieve. From start to finish, we make sure that the finished product is exactly what you were intending to receive when purchasing an app. We found that some app shops, especially ones that build natively, would often miss the mark when creating apps. However, once everything is paid for, app shops tend to put their older projects on the back-burner to keep their sites set on newer projects. Snappii is the opposite. Even after the app is delivered and in your device, Snappii is still there to help you with any questions, training, and of course, improvements. While we aren’t 24/7, we’re pretty close. Our support team is constantly checking their emails to make sure that there are no customers in dire emergencies. We know that once you automate, you don’t go back. When apps malfunction, as all things sometimes do, we want to assure you that the problem is going to be solved quickly, and efficiently. For inquiries, send your requirements to support@snappii.com for a free quote! In a sort-of recent article by the Chicago Tribune, it stated that American’s much prefer typing rather than talking. A generation that grew up in the age of technology is now finding that speaking to people can sometimes be more difficult then simply writing out a sentence. Sometimes reading cannot express sarcasm or feeling, but it has not stopped newer generations from hiding behind monitors. Guestbook apps have grown in popularity in recent years as the standard for gathering information from potential clients. When considering that American’s like to type more than speaking, it makes sense. Would you rather tell the store attendant your complicated email, or quickly write it out on an iPad they handed you? Small businesses can use Guestbook apps to capture data from their clients as they are purchasing, allowing them to re-market to those clients without having to worry about the awkward “Can we have your email?” question. For entrepreneurs that are visiting trade-shows where potential business partners run around in abundance, a guestbook app could help to capture some of those clients name tags, and even sometime about them. Snappii has taken this functionality to the next level. Using our lightning-fast platform, we can create a customized Guestbook app for a fraction of what it would cost to build it natively. What exactly comes included in a custom guestbook app? Glad you asked. Building an app from scratch requires that even minute details go through a intensive programming procedure, and one that often has to be repeated multiple times throughout the app. In the programming world, nothing is easy, and all of those nuances are going to rack up the cost, fast. Slight variations in design can also amount to a lot, especially if it’s a necessary feature that needs to be implemented quickly. Hiring native developers is already expensive, and there’s no guarantee that you’ll get the same team you got last time so that they can pick up where they left off. Snappii platform makes this obstacle much easier to deal with. Simply send the requirements to the developers, we quote how long it will take (we quote by hour, not days or weeks), and development will start as soon as we receive payment. Because Snappii maintains such a close relationship with it’s clients once development has started, any small changes to the app that are necessary before production can be implemented without much push-back. The ultimate goal is to make your life easier, and we want the app to reflect that once it’s finally in your hands and in use. This data, however, is not any good unless it fits with your system. If you have a template or some skeleton that you are used to working with, there’s a good possibility we can export the data captured in the device into the file type you’re looking for. Spreadsheets and PDF’s are easy, but we’ve been known to do some other file types as well. There’s no doubt that you are looking into creating a Guestbook app because a certain degree of prestige that comes from being able to give your potential partner an iPad with your name, logo, and questions on it. For small businesses, it eliminates the need to awkwardly ask for their information while the dialogue fumbles from a decent sales pitch to a rising regret. By giving them the tablet, you are giving them the power to say no without interrupting the flow of the normal interaction, thus helping you improve the experience for them, while gathering much needed data for you. Snappii works (almost) day and night to assure that all apps are working properly, and that you have someone to rely on if they aren’t. Any minor changes you want to make to a form, or even if you just want to change the font, are all possible when utilizing the platform. Best of all, Snappii has the best prices in the industry, and is ready to meet your needs. Contact us at sales@snappii.com, or support@snappii.com, for a quote on your very own Sign-In Guestbook App. There are very few jobs where paper is absolutely necessary anymore. Think about it – when was the last time you had to use a paper form. If it was for your entry documents at a hospital, this form could have easily been converted into an iPad app to give to clients as they come in. For Construction, daily logs and checklists run rampant through most companies. These forms then have to be carried to main offices and entered in manually. Even inspections could benefit greatly from adopting an app into their ecosystem – apps could make a typical job up to 44% shorter in this industry, and they are still under utilized. At times, it’s hard for me to believe that there are still employees out there who are completing their daily tasks on the same ole pen and paper that they’ve been using for decades and I can only imagine the younger employees faces as they fill out the same box, the same way, for the thousandth time that week. Apps are not a revolutionary or new technology – in fact, apps have been used since early 2010 to facilitate all types of jobs in the work place that would normally require a Telxon, or a mini computer, to use. With the advent of smartphones, the computers are now in everyone’s pockets before you even hire them. When we combine that with an infrastructure to create apps – personal ones that are catered specifically to your business, we can cut excess workloads and reallocate resources elsewhere. Snappii, a mobile app development company, aims to do just that with it’s intuitive platform. By utilizing the platform, app developers can produce apps at lightning fast speeds for significantly less than the cost of building a native app. There’s many reasons for this, but the first one is the basis of the entire operation. Our Snappii editor has two distinct ways to operate it. Both are useful in their own way, and ultimately are there to cater to varying skill levels. Even if you’ve never programmed anything before, the Snappii editor will ensure your success through a series of tutorials, on top of the visual interface used to actually create the apps. The two modes in the Snappii editor are the Express and Guru modes. Express is the more simple version of the editor, which enables the user with a fully visual interface. Simply click the “Add Widget” button towards the bottom of the screen, and a widget catalog will populate the screen. The widget catalog is filled with all sorts of combinations of app features, so exploring them might be the best way to learn more about them. While Guru is similar in the sense that it is also visual, it is slightly harder to use because of the amount of options you have to customize it. These can range from connecting ODBC connectors to simply adding a calculation to a certain part of a form. That’s great and all, but what about inspections? Inspections are one of the industries that Snappii works with constantly. Everyday I’m surprised by the amount of people that, in 2017, are still using paper and pen to complete these reports. For starters, paper is easy to destroy. When transporting paper around from city to city, anything can mess up the data on it. There’s also the idea of entering in the data twice. In a traditional paper and pen setting, information has to be written down, processed, and then sent to the main office so that they can finish the entry. By using an app, though, both of those problems become null instantly. Apps have the digital advantage of being able to sent through email, so the second the information is sent, it is updated against the back-end database. Similarly, the accuracy of information is significantly better. WIth no smudges or tears to ruin your paper, apps can get the job done instantly rather than driving it from place to place. At Snappii, we understand that different companies have different standards for their inspections – it’s what makes them unique and different. In light of that, recreating your form on the Snappii editor is something that anyone can do, programmer or not. In cases where individuals want us to create a custom form for them, the Snappii team only needs the PDF that your company already uses. Any high-quality copy will do, and will be used in the app as the template that the information from the mobile form is entered into. 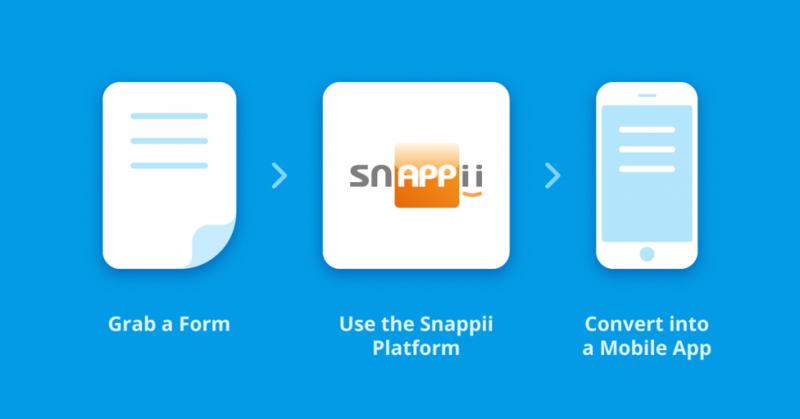 Snappii is a leading competitor in the app-creation sphere. With thousands of apps under our belt, and a deep understanding of both small and big businesses, we’re confident that we can create an app that will make your entire day easier, and hopefully, shorter. In the world of construction, documents are everything. Technology is being further integrated into the construction industry, and it’s important to document not only all the safety regulations, procedures and actions that must take place, but the equipment that is being used to carry out those procedures as well. We can take it one step further and wager that you’re looking to keep track of your employees time-cards as well. While some of these processes may be automatic, the majority of them require user input to function correctly. Even an app won’t get around the fact that some human interaction is necessary. In the past, paper forms would get filled out by the workers, which in turn get inputted into spreadsheets on a computer so that they can be archived. By using a mobile app, however, the worker can take out the middle man and send reports directly to the main computer to be archived. Normally, mobile apps would cost a fortune. But, by using a DIY app builder like Snappii, you can make a mobile form that resembles the form you already use in a matter of minutes. Try it out today! That said, how does a mobile app help to alleviate the pressures of documenting everything while on the job? Today’s construction projects are becoming more complex. Contractors and individuals are spread across multiple locations, and communicating between all of them can become difficult. Documents go through multiple people, all ending up on a desk where it needs to be processed and filed. And with the advent of the internet, stakeholders have expectations for information to be available whenever. These requirements can be difficult to reach on a consistent basis without the aid of some type of software. Companies tend to lean in the direction of making their own software to handle documents, but this becomes problematic if a company has to exchanges documents with another entity also working on the same project. It also involves a lot of paper, which is easy to misplace or damage. The best part about mobile apps is that they are malleable. As your business grows, you can expect your processes to become more time-sensitive and difficult. Mobile apps made on DIY editors allow you to constantly update and add functionality without paying programmers to come and tinker with it. As mobile app editors become more powerful, new features can be added with just the click of a button, making mobile apps far more intuitive than software that would have to be redesigned over and over. How else can a mobile app help? Many companies use document management software in order to manage all of their documents, and to keep them universally available. Document managers can be accessed from businesses via a cloud service, so location does not matter. And because the structure is already predefined in the document manager itself, there’s little room for error. While it does work well, the cost associated with buying multiple licenses in order to use the software among all employees can be crippling for some companies. Mobile apps also provide the same universal structure for documents for a much cheaper cost – and you don’t have to give up convenience. The biggest benefit a mobile app can provide is that the hardware to use the program is already in the pockets of most of your construction workers. They simply have to download the app, input their credentials, and a personalized view of the app will guide them through whatever processes they need to perform. These can be anything from filling out a mobile form, to checking what the weather will be like next Tuesday. Mobile apps eliminate the bridge of communication that companies have to cross by connecting every worker to the same system. Mobile apps can get expensive quickly. Hiring a team of coders and programmers can not only be a logistical nightmare, it’s also going to break the bank. Snappii, a powerful DIY app editor, enables even anyone to create their own app from scratch with zero coding experience. 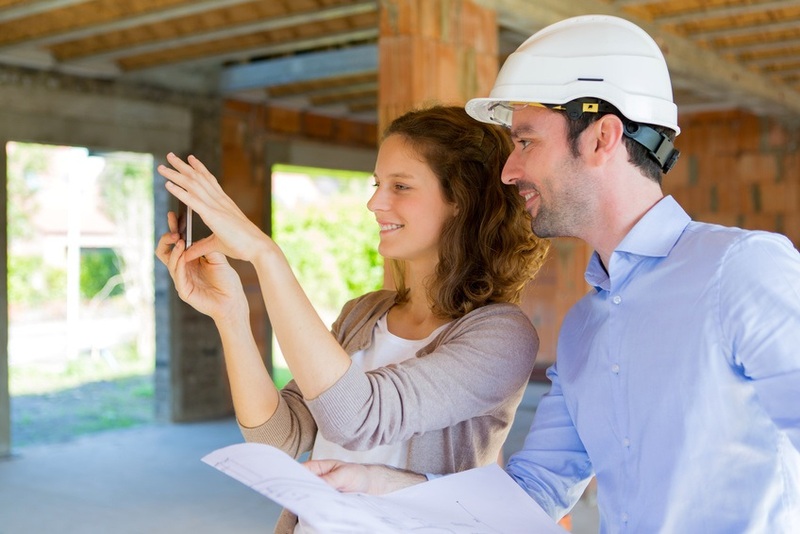 One app can effectively replace all your paper forms, and add the functionality that you need to complete the long, difficult construction projects. Try out Snappii today with a free trial, and see why how we’re making the construction world safer, and more efficient. Creating software for a company is difficult. A lot of people all knocking their heads together for months to create a solution that’s actually useful and not just pretty – and it can get expensive. However, mobile apps offer a unique solution that’s equally effective. By utilizing the tool that can already be found in your employee’s pockets (their smartphones), you can increase the efficiency of your projects overnight. There’s a lot of noise on the markets. There’s more options than ever before, each with their own pricing models and features that are unique to their companies. Despite there being a lot of variety and innovation, it’s important to weigh your options before committing. Signing up with the wrong company could lead to time lost and wages that you won’t see a return on. Snappii works differently than other app-shops. Instead of building an app completely from scratch, Snappii has developed a platform that allows developers to put together apps in a fraction of the time. This means faster turn-around times, lower prices and readily available prototypes within 48 hours. To see more information about Snappii, click here. There’s probably a few reasons why you came across this blog. Maybe you saw that one of your competitors has this nifty tool that they can do work from on their iPads. Perhaps your done with having file cabinets take up all the space in your office. Or maybe you’re just trying to keep track of your team without having to call them all the time. 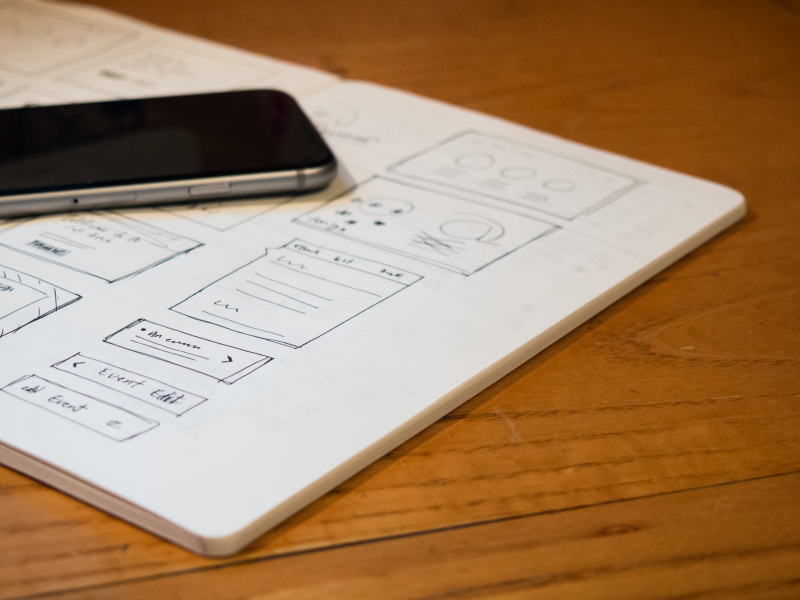 Each app builder is going to do things a bit different, so determining what you want you app to accomplish can help significantly with the next part. Even a professional app shop would ask you what you expect from the final product of your app. Creating a thorough list of requirements can help alleviate some of the questions they’ll have, and help you out with planning for the long run. Take note of what type of utility you’d like to see in the app, what type of functions employees will (and will not) have access to, and, of course, your budget. Even though Snappii is pretty lenient when it comes to requirements, even they need an idea of what you want when it’s all said and done. Another thing to keep in mind is something that is often overlooked: how easy is it to use? Remember that the purpose of converting your crew into a digital solution is not for them to look flashy, it’s for them to do their job easier. Daily tasks like report logs or scaffolding inspcetions can take minutes. 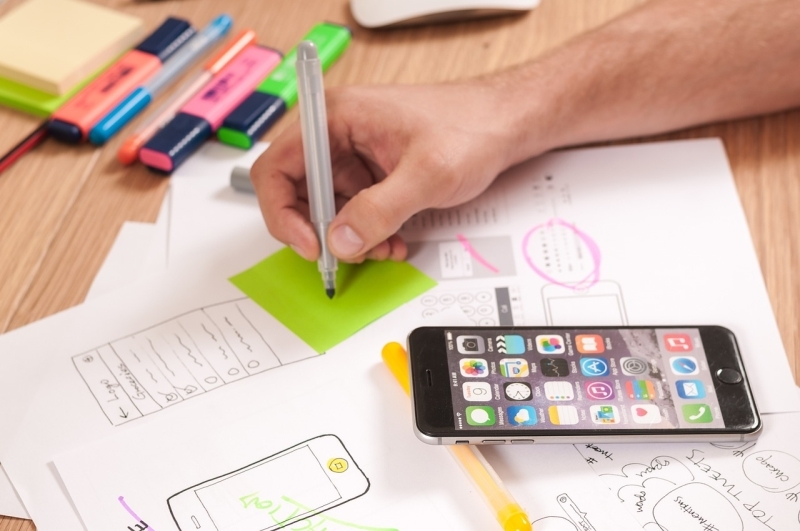 If using the app is more difficult then finding a pen and paper, your employees will still opt for the latter (and they won’t care that you spend so much money on it either). In most cases, at least with Snappii, our apps revolve around a single form or two. Making something extravagant and complicated isn’t the goal, and it’ll help with keeping the cost of things to a minimum. During the first week of converting your employees from paper to digital, there may be some resistance, more so if something goes completely wrong. If it does happen, you want to make sure there’s a system to help. If the app shop that you’re investigating has a support hotline, call it and see if like what you hear. Are they English speaking? Did they actually help you with anything? Take notes if you have to, especially since support won’t be available if you hire freelancers to create your app. It may not seem like a deal-breaker at first, but even the most sophisticated systems can have problems, and you don’t want to freeze your whole operation because the new toy doesn’t work. These are just a few tips to get your feet wet about the entire process of converting over to mobile forms. For every company, things will be different. Snappii, a leader in mobile software technologies, is dedicated to helping you see your vision come true. With our industry defining mobile form creator, platform, and the ability to customize every aspect of your app, our team can provide a solution to you in less time and with less money than you can imagine. Click here to try out some of Snappii’s templates, or click here to send a quote to our sales team. As a general contractor, the benefits of working on digital equipment come naturally to you. Your team has figured it out, and your secretaries can’t thank you enough for the time saved on the paperwork. It’s made your business take leaps ahead of the curve, and you took the opportunity to make sure you got into the market before it was too late. Unfortunately, in a lot of cases, even if the general contractor is on-board with technology, there’s a chance that the subcontractor might not. Even worst, they may simply not understand it. At Snappii, we’ve made it a point to make things as easy as possible. With things like app templates and custom-made features that you can just add to your apps with the click of a button, we believe in keeping things simple. Check out more about our editor here. So how do you get your subcontractor to take a step back and see the bigger picture that technology provides? I’m not an expert by any means, but if you remember a couple of these things, I’m sure that you can convince anyone to join the dark(?)-side. A lot of people, our users included, make the mistake of over-complicating things. Some of the proposals we get for apps seem out-right bananas. It’s as if the more features they cram into the app, the more useful it will be. While true, it also going to be exponentially more difficult to control. Keep everything to a minimum, and it’ll keep your contractors from asking too many questions. Remember, the point of the app is to make things easier – make sure your subcontractor’s understand that. Many times, people are just accustomed to the way they’ve been doing things and they may feel negatively about trying out new things. Just be persistent and try your best to sell the benefits of using an app. If they know and understand it, they’ll want to use it too. Believe it or not, some people still don’t have a smartphone. I can’t blame them too much, with the majority of people having their heads constantly craned down and looking at a screen, I’d be a little tentative to sell my soul away to a piece of digital hardware too. Jokes aside, there’s an easy way around having subcontractors who don’t have iPhones or Samsungs – supply them with tablets. It might be a heavy initial investment, but word of mouth is a heavy motivator. Another subcontracting firm might catch wind of the fancy contractor who uses iPad’s to make sure all of their employees are 100%, all the time. The good part is with a mobile app, it’s possible for very cheap. Don’t get distracted by your own work when your first introducing your guys to this digital playground. Make sure your around to answer questions. As a User Interface guy, I can tell you right now that even if you make a perfect app, people will still have questions. Better to be ready for them, and if possible provide your employees with a resource for them to brush up on how to use the app if necessary. And again, even with the perfect app, you’re bound to run into problems. Make sure that the app itself has your firm’s contact information in it, that way there’s no excuse for someone not having your number to let you know if something happened. Including resources directly inside of the app may be effective as well. Make it easy to access, and people will use it. Construction is coordinating an orchestra with heavy machinery and spare hands. The person that works on the electricity often doesn’t know how the plumbing works, and the same can be said for most elements that go into making any structure. However, you need to keep everyone updated at the same rate. The problem is that the way we do this, usually by logs and forms, are primitive. Dragging a pen and paper out into a dirt field with rubble everywhere is asking for it to get damaged. Those papers then have to get transported to an office at the end of the day, where the information has to be put into a database that (hopefully) everyone in the crew can access. It’s a cumbersome process, with a lot of room for error on many different parties. And yes, there’s mobile devices like phones and tablets. But those are almost useless in the workplace without an app. Software is what makes a computer into a tool, but creating that for a phone can quickly become a logistical nightmare. Accumulating a crew of coders and programmers, delivering your requirements and hoping they create something that you can actually use – it all turns into a gamble. Snappii, a mobile app shop, aims to provide apps to it’s users by utilizing it’s proprietary platform to create apps. This allows Snappii developers to go through the app and quickly adjust it’s parameters, ensuring that the user is always up to the company’s requirements. Minuscule changes can take as little as minutes to adjust, and the most a major one will take is a week. Contact our sales team today or check one of our apps out in the app store. One benefit of having a mobile app is that any reports sent through the app get recorded onto the Snappii website. Backing it up digitally means you can’t lose your work if you ever need it, and it’s much easier to find. You can implement tags so that you can find past reports by date or name. This also eliminates the need to transfer the data from point A to point B so that it can be entered into a database. Since the information is being inputted digitally the first time, there’s no need to do it again. As long as everyone’s using the same app, it’s extremely easy to show a user your own work. It gives a clean medium where the workers can collaborate and make notations on schematics without running the risk of ruining the original. With all the different operating systems floating around nowadays, it can be difficult to make sure everyone’s on the same page. We have Apple offering an operating system on both phones and desktops, and now even Windows is trying to join the forray with their proprietary devices and app store. Because all of Snappii’s apps are generated right on their platform, it’s easy to push the apps as either Android, Apple or even HTML5 formats. And because it works on every system, you can make sure that every employee is looking at the same exact piece of software. 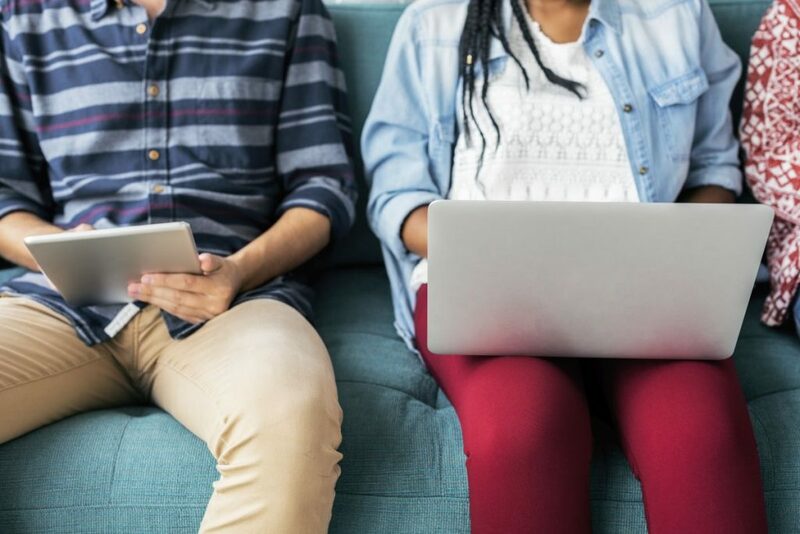 This can help in a multitude of ways, including actually teaching your employees to use the software – a learning hurdle that every company has to go through when adopting these apps. There’s many ways Snappii can help out your business with a mobile app. Even if you’re looking to use it more for marketing rather than actual functionality for your business, having a form can increase your productivity tenfold. To order a custom form through Snappii, click here. If you would like to enter the Snappii lab and try to make a form yourself, click here. Construction is an industry that is constantly evolving as technology grows. Every year there seems to be some new gadget that is changing the face of the industry, making jobs take half the time with workers losing half the sleep. Every year, those same gadgets become more and more affordable. With the impressive list of benefits that adopting a digital solution can bring to your company, such as improving communication between you and your employees or collecting accurate data, it is easy to see why huge expo’s like CONEXPO exist. Construction is easily one of the top industries in the entire world, which is why innovation follows. With that said, bring a digital solution to a mechanical playground can often be problematic. There is usually a enormous cost associated with it, and that is before you factor in all of the hour it is going to take to train your employees. When it is all said and done, will the app you spent so much time creating be of any use to your workers? Snappii, a leading mobile app producer, is a company that started with a simple vision of being able to provide a business app for absolutely any company that needs it. To accomplish this, we created the Snappii platform, which allows us to manufacture apps both quickly and efficiently, with app requests that take as little as a day to complete sometimes. To use mobile apps, there are different instruments. Mobile apps can be accessed from either a smartphone, or a computer. In most cases, even tablets can access can app that has been created using Snappii’s platform. I’ll briefly go over the benefits of each instrument, and when you should use them. If you are handling a large amount of data, I would recommend going for a laptop. Not only will it make it easier to input data, but making changes later on will be easier to spot. Entering data into a laptop will allow you to automatically open the outputted Excel file that is generated when completing a form on the app. If you need to work with any complex calculations, and have the convenience of being next to a computer, a big screen will help. But sometimes, being next to a computer is not the most feasible option. For many of our users, the magic happens outside on the field. This is where mobile phones come in handy. Mobile devices are great because most employees will probably own some form of it. Since the Snappii platform outputs apps to both Android and Apple, all of your employees should be covered (unless there’s that one BlackBerry user in the group). Phones also have longer battery lives then the other options, so for people that are going to be on the field all day, this might be the best way to go. I would only recommend tablets if you are really starved for space. They offer a good median between the big screen of the laptop, and the portability of the mobile device. Tablets, however, are the most expensive out of the bunch. Chances are, your employees will not want to bring theirs from home, so you may have to provide a company one. If it is going to be outside, you also need to purchase insurance for it, which could run the bill up quite a lot. Regardless, this is the best option if you want something simple, big and easy to use. 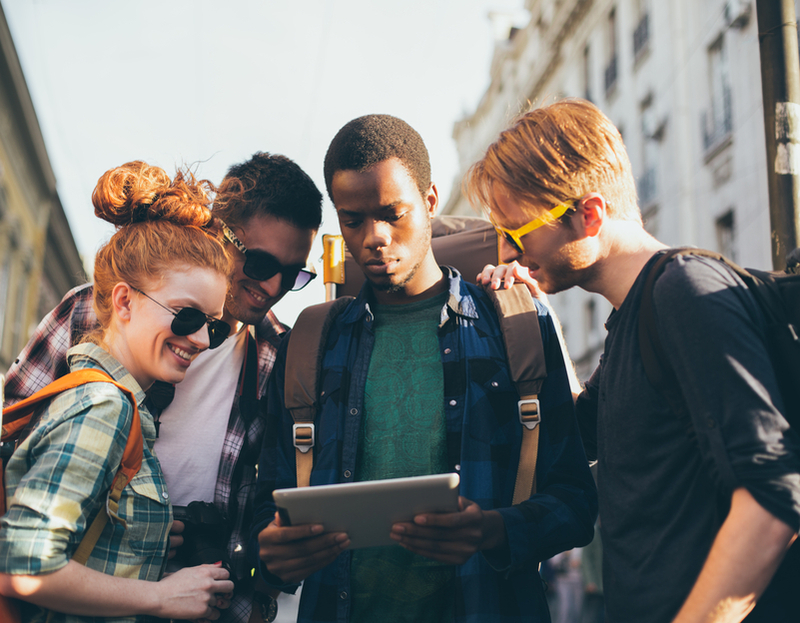 When choosing your device, it is important to recognize how you will be connecting to the internet, or if connecting to the internet is always required. All of our apps function similarly when it comes to online connectivity. If the app tries to send information and it is not connected to the internet, it will queue the information and send it as soon as it regains access. This ensures that every bit of data that is submitted reamins up to date across all devices, even if you forget to go back and resubmit it later. Cellular devices add an extra layer of functionality to offline capabilities as well. For example, mobile phones offer the flexibility of using cellular capabilities to connect to the internet. If you are using a tablet that only works off Wi-Fi, or a laptop without an air-card to connect to the internet, then you will not be able to send reports until your device captures a Wi-Fi again. For some companies, this can be problematic, but others may not have an issue. It is up to you to determine what exactly you will be needing on the field.